This is an enjoyable story about a young man born and raised in Butte, Montana, whose Egyptian-born father abandoned him and his mother when he was three. 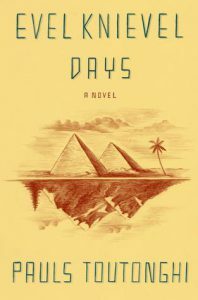 He leaves Butte in his twenties and goes to Cairo in search of his father. The novel is written in a simple, conversational style and has a basic plot, but Khosi Saqr’s quirks of character provide a fascination as he reacts to people and society in Butte and Cairo. The plotline is basically whether Khosi will find his father or not and how they will react to each other if he does. There are numerous chances for twists, turns, or surprises, but the reader who is hoping for these will be disappointed. The story is completely straightforward. What holds our interest is the vivid description and the appreciative depiction of the Egyptian people.